Dental School: Tufts University School of Dentistry 2008/D.M.D. Dr. Musicer-Sandvi was born and grew up in Tucker and Johns Creek, Georgia. At the University of Michigan in Ann Arbor, Wendy worked at the University of Michigan Hospital, both in the Pediatric Cardiology unit, and at the Oral and Maxillofacial clinic where she helped create advanced prosthetic devices for surgically compromised patients. While at Tufts Dental School in Boston, she was selected as a clinical teaching assistant to help other students, took a leadership role in the Alpha Omega International Dental Fraternity, and was a volunteer for the Special Olympics program. After graduation, Dr. Musicer-Sandvi continued her dental training in a year-long advanced residency program in Winslow, Arizona where she treated Native Americans on the Navajo reservation. In her spare time, she enjoys cooking / baking, hiking, running, tennis, NASCAR races, and snow skiing. 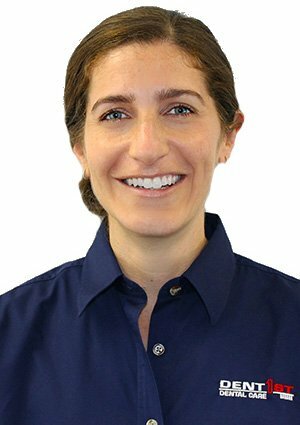 Dr. Musicer-Sandvi loves helping her patients smile with new advances in cosmetic dentistry and enjoys all the aspects and challenges of restorative dentistry. Patients can visit Dr. Musicer-Sandvi at our DentFirst Norcross, Kennesaw and Lenox offices.